January 26, 2010 - Syracuse, N.Y. The U.S. Department of Labor's Occupational Safety and Health Administration (OSHA) has proposed $71,000 in fines against Schweizer Aircraft Corp., for alleged willful, repeat and serious violations of safety and health standards following inspections of the company's Horseheads, New York, helicopter manufacturing plant. OSHA found workers were exposed to electrocution hazards from the company's failure to first de-energize live electrical parts before having employees work on them. This situation resulted in the issuance of one willful citation, carrying a proposed fine of $55,000. OSHA defines a willful violation as one committed with plain indifference to or intentional disregard for worker safety and health. "Failing to de-energize live electrical parts exposes workers to swift and serious injury or death from electric shock," said Christopher Adams, OSHA's area director in Syracuse. "This employer must ensure that the proper safeguards are in place and in use to protect workers against this and other potentially deadly hazards." The inspection also identified several other hazards, including misused extension cords, unlabeled electrical circuits, unguarded open-sided roof areas and work platforms, lack of protective gloves, inadequate chemical hazard communication and allowing a buildup of combustible residue in a flammable spraying area. These conditions resulted in seven serious citations, with $14,000 in fines. Serious citations are issued when death or serious physical harm is likely to result from hazards about which the employer knew or should have known. Finally, the company has been issued one repeat citation, with a $2,000 fine, for failing to properly record an injury on its illness and injury log. OSHA had cited the company for a similar condition in June 2008. "One means of preventing hazards such as these is for employers to establish effective comprehensive workplace safety and health programs involving workers in proactively evaluating, identifying and eliminating hazards," said Robert Kulick, OSHA's regional administrator in New York. Schweizer Aircraft Corp. has 15 business days from receipt of its citations and proposed penalties to comply, participate in an informal conference with OSHA's area director or contest the findings before the independent Occupational Safety and Health Review Commission. The inspection was conducted by OSHA's Syracuse Area Office. The Schweizer Aircraft Corporation, located in Horseheads, New York, was incorporated in 1939 by three Schweizer brothers (Paul, William, and Ernest), who built their first glider in 1930. Previously the oldest privately owned aircraft company in the United States, Schweizer was acquired by Sikorsky Aircraft Corporation of Stratford, Connecticut in 2004. Schweizer primarily produces light, piston-engined helicopters for use in utility and flight-training roles. The Schweizer 300CBi is one of the most widely-used training helicopters in the world. That model was originally manufactured by Hughes aircraft as the Hughes 269 for the United States Army. In 1986, Schweizer acquired all rights to the helicopter from McDonnell Douglas, who had purchased Hughes Helicopters in 1984. 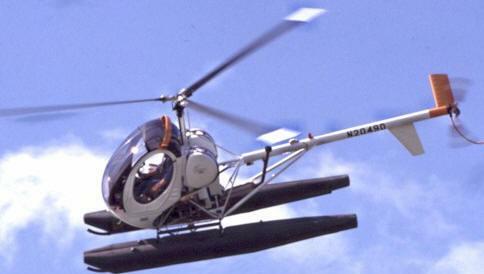 After Schweizer acquired the FAA Type Certificate, the helicopter was known for a short time as the Schweizer-Hughes 300C and then simply, the Schweizer 300C. The basic design remained unchanged over the years. Between Hughes and Schweizer, nearly 3,000 copies of the Model 269/300 have been built and flown over the last 50 years. Schweizer continued to develop the Model 300 by adding a turbine and redesigning the body to create the Schweizer 330, and then further developments led to the development of the Schweizer 333. An improved version in the series, the Schweizer S-434, was released in 2008.